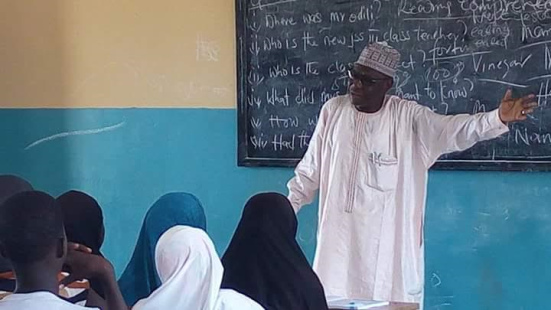 The Caretaker Chairman of Kaga Local Government Area of Borno State, Comr. 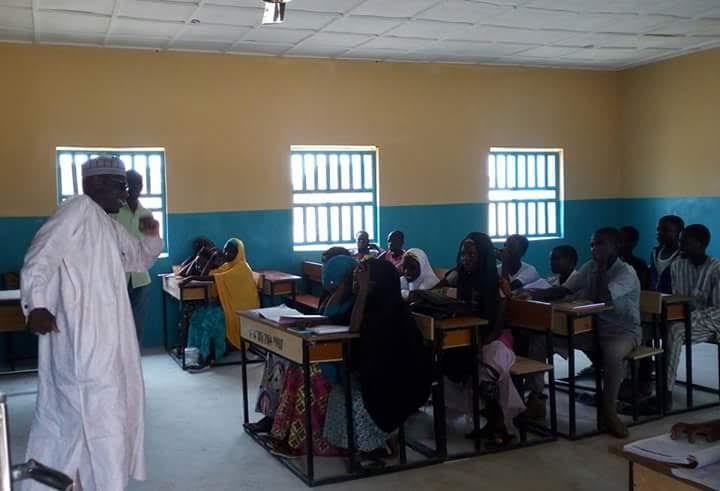 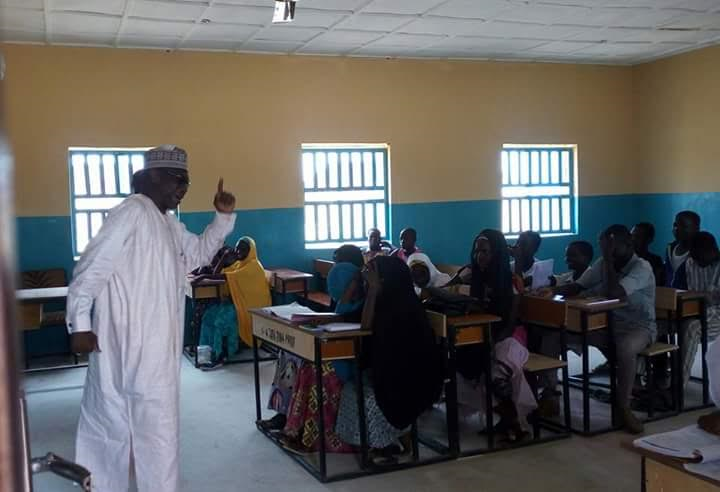 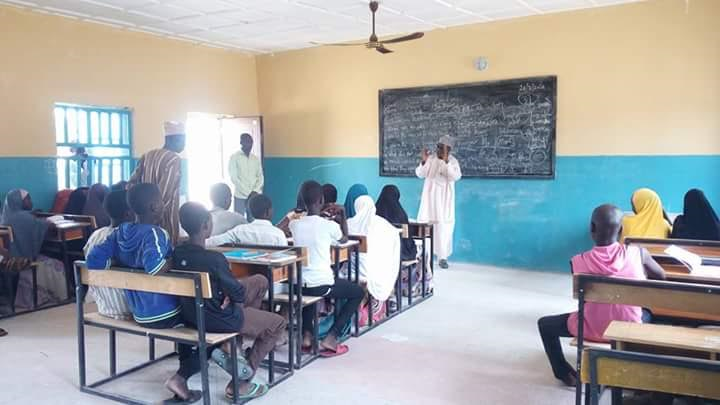 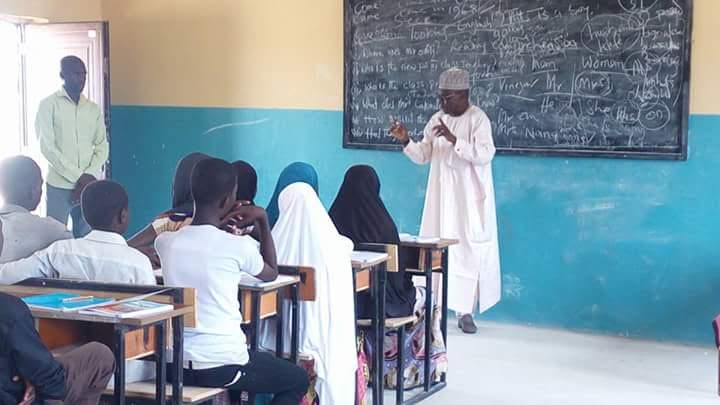 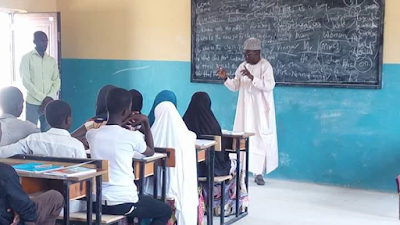 Lawan Bukar Wasaram is teaching the pupils at the UBE Primary School Benishiekh. See more photos after the cut.